On 30 September, the commander of 10th Army, Walther von Reichenau, ordered his staff to plan the destruction of a large Polish force which was located between the Bug and Vistula rivers. This task would involve the XIV Motorised Corps. It was made up of the 29th and 13th Motorised Infantry Divisions and some independent units. Each German motorised division had a paper strength of 16445 soldiers, 2676 trucks and staff cars, 1944 motorcycles, and 18 armoured cars. The commander of XIV Corps knew that Polish forces were situated in the forests northwest of Kock. He believed that the commander of the Polish forces was unaware of Warsaw's capitulation. The commander of 13th Motorised Infantry Division, General Paul Otto, was of the opinion that the Polish forces had become so demoralized that they were incapable of combat, and that a single German battalion would be enough to disarm the Poles and take them to a Prisoner of War camp. Otto sent a force consisting of 3rd Battalion, 93rd Motorized Infantry Regiment supported by 8th Battery, 13th Regiment of Light Artillery. The battalion commander decided to divide his forces into two groups which were sent to Serokomla and Kock. He could count on help from the 93rd Motorised Infantry Regiment with some support forces which followed him. At 08:30, a column of half-tracks and truck-mounted infantry came under fire from a guard platoon of No.2 company of the 'Wilk' battalion. After a protracted engagement the German troops withdrew. The Polish 179th Infantry Regiment was alerted and moved to defensive positions near and in Kock. At about 11:00 the German lead elements attacked the Polish positions, which were now 2 battalions strong. In spite of supporting artillery fire, the attack failed. At dusk German motorcyclists appeared near the church in Kock and began firing, but subsequently withdrew when the fire was returned. 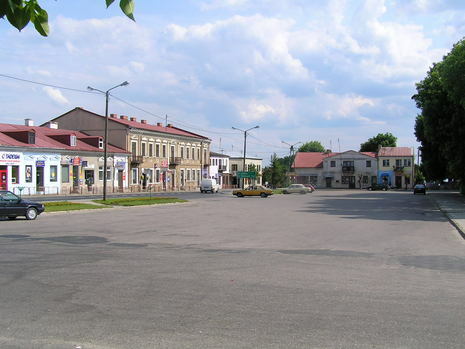 A company of motorized infantry entered the village of Serokomla. This led to the beginning of a chaotic action between the Germans and Uhlans from the 'Pils' Cavalry Brigade, (commanded by Colonel Plisowski). The Poles were supported by an artillery unit from the same brigade. The Germans were forced to withdraw to the south of the village (see 3 OCT). German losses were 300–400 killed and wounded. Five officers, 180 NCOs and privates were captured by the Polish. Components of the 'Pils' cavalry brigade lost about 200 killed or wounded. The stiff Polish resistance forced General Otto to use all his forces for an assault. He was going to split Polish forces in two and destroy them. He decided that the 33rd Motorised Infantry Regiment supported by part of the divisional artillery would attack Annopol, Pieńki and Talczyn. This force was tasked with destroying the Polish 50th Infantry Division. The 93rd Motorised Infantry Regiment was ordered to capture Serokomla then Hordzież and to destroy a defensive formation of the 'Zaza' cavalry division. The 66th Motorised Infantry Regiment entered the field of battle in the afternoon. General Kleeberg thought that the main German advance would be toward the 'Zaza' cavalry division at Serokomla Hordzież. He decided that part of the cavalry would fend off the German attack. The rest would join a counter-attack alongside the 50th Infantry Division on the right wing and rear of the 13th German Motorized Infantry Division. The 60th Infantry Division and the 'Podlachia' cavalry brigade would close off potential German attack routes. If this counter-attack was successful, the German division would be forced to withdraw behind the river Wieprz. Between 0750 and 0930, attacks by two regiments of the 50th Infantry Division (the 180th and the 178th, less its 2nd battalion), attacked. They were supported by a howitzer battery. The attack was commanded by Lieutenant Colonel Gorzkowski . Initially successful, the Polish units were halted and then forced onto the defensive. The cavalry attack by the Uhlans was also stopped and forced to withdraw west of Wola Gułowska. At 10:30, German artillery begun to fire on Polish cavalry positions. The Wehrmacht's 93rd Motorized Infantry Regiment began an attack on the 'Wilk' battalion positions, inflicting heavy losses. The 33rd Infantry Regiment began a gradual attack on the Polish 50th Infantry Division. After heavy fighting, the German advance was stopped. Otto decided to support the 33rd Motorised Infantry Regiment with the 2nd Battalion of the 66th Motorised Infantry Regiment. German formations captured Wola Gułowska, but in the evening they were forced to withdraw from the eastern part of the area. Due to the 13th Motorised Infantry Division's failure, the commander of XIV Corps. was forced to use the 29th Motorised Infantry Division. General Otto ordered the 93rdInfantry Regiment to move from the Wieprz river to Dęblin. The 66thMotorised Infantry Regiment would attack Adamów i Wola Gułowska, and the 33rd Infantry Regiment would clear the area to the north of Kock. General Kleeberg suspected that the main combined attack of the 13th Motorised Division and the 29thMotorised Division would be on Adamów and Krzywda. He thought there was a chance to destroy the 13thMotorised Division as they had already sustained heavy casualties and materiel losses. The 'Zaza' cavalry division and the 50thInfantry Division would defend their positions, the 60thInfantry Division would attack the 13th Motorised Division. The Podlaska Cavalry Brigade would oppose the 29thMotorised Infantry Division. In the morning, the main elements of 13thDivision attacked the 'Zaza' cavalry division and the 50thInfantry division. By 1200 noon part of the 66thInfantry Regiment had captured Zakępie and advanced on Adamów where they were halted by the 1st Battalion of the 180th Infantry Regiment. About 11 hours apart, first from the west and then the east, forces from the 66th regiment attacked the 'Olek' and 'Wilk' battalions who were defending Czarna. The defenders sustained heavy casualties from artillery fire and 'Wilk' was forced to withdraw to the eastern edge of the Adamów forest. 'Olek', moving to Adamów, later deployed to Gułów. Between 1000 and 1100 formations of the 66th Regiment attacked formations of cavalry from the 5th Uhlan Regiment who then withdrew from Wola Gułowska and Adamów to the south-east. At about 1200 the 66thInfantry Regiment attacked the 2ndSquadron of the 2ndUhlan Regiment in Zarzecze who withdrew with heavy casualties. The commander of the regiment moved the 4thSquadron south from Helenowka to try to assist the 2nd Squadron while the 3rdSquadron held the enemy to the west of Wola Gułowska. The 3rd and 4th Squadrons, with elements of the 10th Uhlan Regiment fought near the Turzystwo village cemetery and the church in Wola Gułowska. Ground was lost and regained repeatedly until an attack by the 2ndBattalion, 184thInfantry Regiment and the Uhlan Squadron enabled the Polish to dig in. The commander of XIVth Motorized Corps. decided that he would use two of his divisions. They would attempt to encircle and destroy the Polish forces. The 13th Motorized Division advanced on Bystrzyca and Adamów then Wróblina and Stanin; the 29th Motorised Division advanced on Radyryż Kościelny and Wróblina where they met troops from the 13th Division. General Kleeberg decided to destroy the 13th Motorised Infantry Division by using forces from the 50thand60th infantry divisions and the 'Zaza' cavalry division. The Podlaska cavalry brigade defended the position under Radoryż Kościelny and Wróblina. 13th Division's artillery began to fire on the 180th Infantry Regiment battalion's positions in Adamów and the 'Olek' Battalion in Gułów grange at 0530. Two and a half hours later, the 66th Infantry Regiment's advance began. After a short fight at 1000, the Germans captured Adamów, they then attacked the Polish position on hill 170 and Gułów, which they captured after heavy fighting. The 66th Motorised Infantry Regiment took many losses. The division occupied positions on the eastern edge of Adamów forest. General Podhorski sent the 'Pils' cavalry brigade to support them. After contact with the enemy brigade, they began an attack on the German positions in the forest. They captured the forest and there they established defensive positions. After the capture of Adamów and Gułów grange by the 66th Infantry Regiment, the 33rd Motorised Infantry Regiment began to advance, capturing Wojcieszkowoe and Glinne. The Polish 178th Infantry Regiment withdrew. The commander ordered his force to re-take Wojcieszkowo and Glinne, which they did, but they withdrew after taking heavy losses. The advance of the 180th Infantry Regiment on Adamów failed. Colonel Brzoza-Brzezina sent the 178th infantry regiment who soon met the German advance. The 1st battalion included a part company of sappers. The 2nd and 3rd battalions took heavy losses and withdrew to Burzec. Meanwhile, an attack by the Polish 184th infantry regiment, with the support of a battalion of the 179th infantry regiment, recaptured the church and cemetery in Wola Gułowska. An advance by the 182nd Infantry Regiment with the help of three 100mm howitzers broke the German defence in Helenów. At 1600, the last German advance from Adamów began on positions of the 10th Uhlan Regiment in Krzywda forest by the 182nd regiment in Helenów and the 184th regiment in Wola Gułowska. The 10th Uhlan Regiment, after a hard fight, withdrew into the forest. Most forces of the 'Brzoza' division successfully defended their positions in Burzec. The 182nd Infantry Regiment held their position. The 184th regiment had to withdraw due to a lack of artillery ammunition. During this time two key Polish advances began. The 2nd battalion of the 183rdInfantry Regiment, with artillery support, began an assault with the bayonet on the Germans who had attacked the southern wing of the 'Pils' cavalry brigade. The assault succeeded and the Germans began to escape, being chased by infantry and cavalry. The rear of the southern wing of the 13th Motorised Division was attacked by the 'Edward' cavalry brigade, they captured Poznań village, including a German artillery battery, (which had to be destroyed when the cavalry were forced to withdraw due to them coming under fire from another German artillery battery). Elements of the 13th Motorised Division began to withdraw. One of the last attacks was by the 29thMotorised Division on the 'Podlaska' Cavalry Brigade positions and the rear of the 'Brzoza' Division. After which both Polish formations withdrew to the south of Kryzywda. The Polsie Independent Group surrendered on 6 October at 1000. 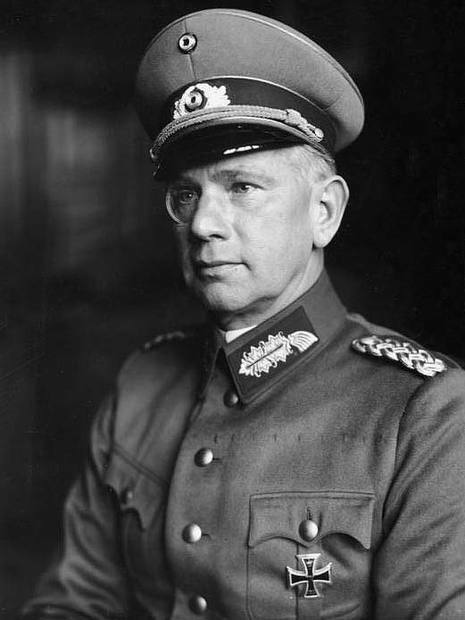 In his last order General Kleeberg wrote that the reason for his decision to capitulate was that they were surrounded and ammunition and food were depleted. On 30 September staff of 10th Army were ordered to destroy a large Polish force stationed between the Bug and Vistula rivers northwest of Kock. Commander of 10th Army Walter Reichenau ordered this task commander of XIV Motorised Corps. XIV- 29th and 13th Motorised Infantry Division and some independent formations. Each German motorised division had a paper strength 16445 soldiers, 2676 trucks and staff cars, 1944 motorcycles, and 18 armoured cars.